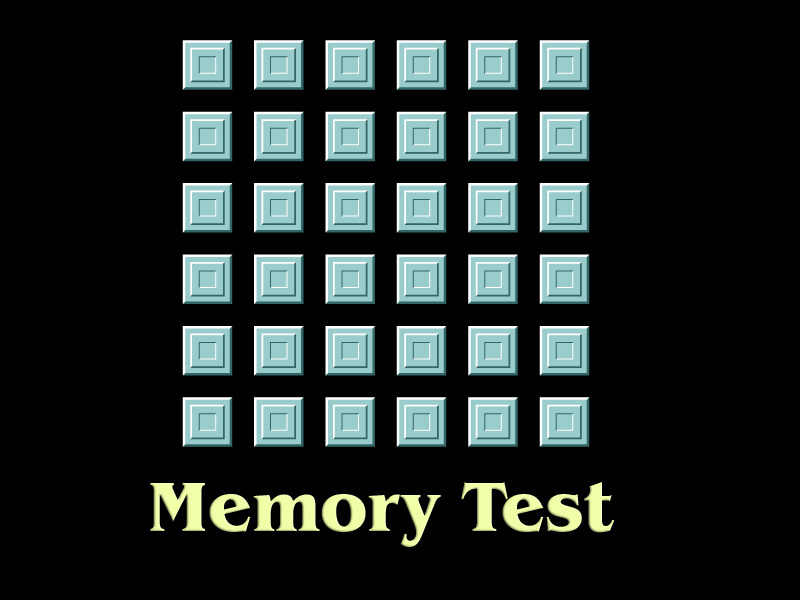 "Memory Test" is a free online psychology game by zefrank.com to Challenge your memory. Find two same animations by memorizing their positions. 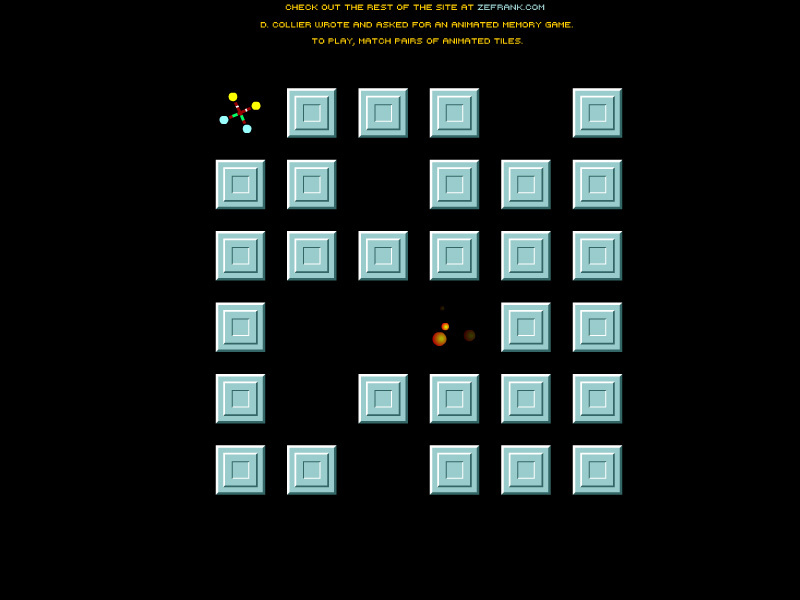 Fun psychology game. How to play Memory Test. This is a simple memory cards game. Click on the squares that hide two same animations to remove them from the board, while no square remain. 5 min brain practicing. No level achievement. Labels: Psychology Games , Visual Tests , Memory Games , Knowledge Games , Brain Games , Free Online Games.